I started this project before Christmas but I had to pack up my sewing stuff and head to NC. Now that we are settled and school is nearly finished I can spend some time sewing. It has been fun mending and hemming and finishing projects. Ali has even learned how to use be sewing machine and is pounding out purses and things. 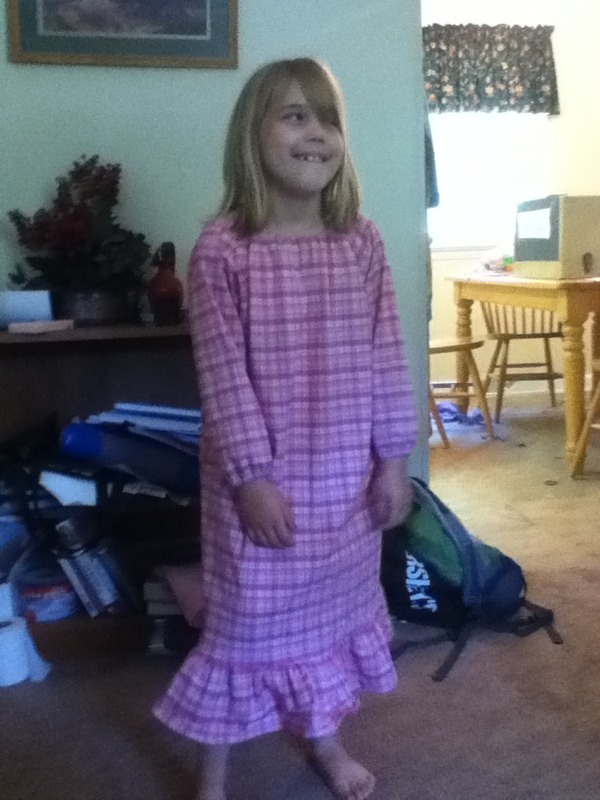 Here is a picture of Ali’s new nightgown. I love love love the French patterns that I brought back from France! The plaid doesn’t do the pattern justice. I need to find some sweater fabrics. Linen perhaps.